Shorai LFX batteries are the world's only prismatic Lithium-Iron Phosphate batteries and deliver more energy faster, with far less weight/size and with less wear on the battery per start cycle than any other brand or technology and truly represent a leap forward in performance (unlike many other competitor brands which often simply use unsuitable "hand power tool" type round battery cells put into an automotive case). LFX batteries are also environmentally friendly, are 70-80% (up to approx. 4Kg) lighter than lead-acid batteries and don't 'sulphate' like lead-acid batteries, so won't degrade while in unattended storage. Supplied in a variety of case shapes, size/capacity options and right/left polarity configurations to enable the best possible and most compact fitment, LFX batteries can also use many regular chargers or - for super-fast recharge rate - the Shorai cell-balancing charger via the batterys dedicated Shorai charger connection port. Where your LFX is smaller than your bikes original battery, high-density, adhesive-backed foam sheets are included in the package which can be trimmed and applied to the battery box in minutes, to make a snug fit - or you may be able to use the space created to install other accessories such as a Power Commander, Bazzaz or other Quickshifter, etc. All these options and sizes allow Shorai LFX to offer a 'drop-in' installation for most powersports vehicles and there's also a 6-volt battery for vintage vehicles. Even though Shorai batteries can be stored off-bike for up to a year without charging or maintenance, when on a bike (even on a bike without an alarm) all types of battery will experience some discharge from clocks/odometers or simply via natural parasitic drain which eventually leads to complete over-discharge. Total discharge may irrecoverably damage any battery and any such damage will not be covered by your batterys warranty meaning that if your bike is regularly left standing unused for periods of a week or longer, we strongly advise the use of the optional Shorai BMS01 LFX Battery Charger/Conditioner (or removing/disconnecting your battery). Alternatively, many standard lead-acid chargers (apart from those with an automatic De-Sulphation Mode, which can harm non-lead-acid batteries) can be used with Shorai LFX batteries. **We regret, due to shipping regulations, we can only supply these batteries for UK mainland orders. 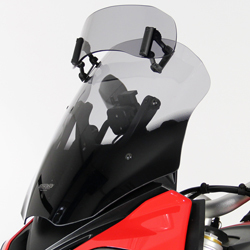 ...or click here for a list of Road/Street bike applications. ...or here for a list of Offroad bike applications. !electronics, naked, unfaired, battery, light, weight, strong, powerful, race, 800, 800xc, xc, APRILIA, Sport, City, 50, SR50, RS, 50, Mojeto, Rally, RS4, 50, SX, 50, Scarabeo, ST, Sport, City, 125, RS, 125, RS4, 125, SX, 125, Mojito, 150, Mojito, 150, Scarabeo, 150, Scarabeo, 200, Sport, City, 250, RS, 250, Atlantic, MXV, 450, Scarabeo, 500, Strada, Factory, Trail, Dorsoduro, 750, Shiver, 750, Mana, 850, RSV4R, Factory, CapoNord, 1000, Factory, Trail, 1000, RST, Futura, 1000, RX, 1000, SL, Falco, 1000, SX, 1000, Tuono, V4R, 1000, Pegaso, Strada, orsoduro, 1200, BIG, DOG, BIMOTA, DB2, SB6, SB7, SB6R, SB8R, (S), YB8, YB10, YB11, Tesi, BMW, G450, X, R26, R27, R50, R50, 5, C600, Sport, R60, R60, 5, R60, 6, 7, F650GS, R65LS, R65, 7, RT, R69, R69S, K75C, S, K75, RT, R75, 5, R75, 6, 7, F800, R80GS, R80, 7, RT, R850R, R90, 6, S, R100, 7, R100CS, R100GS, PD, R, RS, RT, S1000RR, R1100GS, R1100R, R1100RT, R1100S, K1100RS, K1100LT, R1150GS, R1150R, , RT, HP2, R1200C, R1200GS, (Adventure), R1200R, (Classic), R1200RT, K1200GT, K1200LT, K1200RS, K1200RS, K1200S, R1200S, K1300, A, R, S, K1300GT, K1600, GT, GTL, BUELL, 500, Blast, 984, XB9, RR1000, 1125, CR, R, 1200, M2, Cyclone, 1200, S1, Lightning, 1200, S2, S2T, 1200, S3, S3T, 1200, XB12, RR1200, RS1200, RSS1200, CAGIVA, 50cc, 125cc, 350, Elefant, 2, Cyl, 350, 500, T4, E, Elefant, 750, Elefant, Bifaro, Elefant, Elefant, E900, CCM, DERBI, , DUCATI, 500, GTL, GTV, Sport, 500, 600, 650, Pantah, 600, TL, Pantah, 650, Alazurra, 748, Biposto, 748, Monoposto, 748, SP, SPS, 748, Strada, 750, Desmo, Imola, 750, F1, 750, F1, 750, F1, Montijuich, 750, 850, GT, 750, Paso, Indiana, Electric, Start, Indiana, KickStart, 750, Sport, 750, SS, Electric, Start, 750, SS, KickStart, 800, 800, SS, 848, Superbike, 850, KickStart, 851, Strada, 851, Superbike, 851, Superbike, 860, KickStart, 860, GT, KickStart, 860, GTS, 888, LTD, SP, 900, Elefant, 900, M900, 900, Monster, 900, Police, 900, Replica, II, 900, S2, SD, SSD, Sport, 900, SS, ElecStart, 900, SS, KickStart, 900, SS, 900, SL, 900, SL, SuperLight, 900, SP, 900, SS, 900, Supersport, FE, 906, Paso, 907, (All, Types), 916, Biposto, 916, IE, SP, SPS, 916, ST4, 916, ST4, 916, Strada, Biposto, cbr900rr, Senna, 994, ST2, SportTour, 994, ST2, SportTour, 996, 996, Biposto, 996, Monoposto, 996, ST4S, 998, 999, 1000, Biposto, GT, 1000, Desmosedici, RR, GT, Sport, Tour, 1000, ST3, Sport, 1098, Superbike, 1198, Superbike, 1100, Streetfighter, Hypermotard, Monster, Multistrada, 1199, Panigale, Diavel, E-TON, Beamer, 50, Matrix, 50, Sport, 50, Sport, 150, Matrix, 150, Beamer, 150, EXCELSIOR-HENDERSON, Super, X, 1386cc, GILERA, SP50, Runner, 125, Runner, 200, Nexus, 300ie, Nexus, 500ie, Fuoco, 500ie, HARLEY-DAVIDSON, CVO, FLX, FLST, CVO, FXD, FLT, FLH, FLT, FLH, (rubber, mount, eng8i0n-e9)6, YIX30L-BS, YB30L-BLFX36L3, YTX20L-BS, YB16HLLFX36L3, YIX30L-BS, YB30L-BLFX36L3, Y50-N18L-A, YTX24LHFLX36L3, YHD-12, LFX36A3, YTX20L-BS, YB16HLLFX36L3, YTX20-BS, YB16-B, LFX36A3, YTX20L-BS, YB16HLLFX36L3, YTX20-BS, YB16-B, LFX36A3, YTX20-BS, YB16-B, LFX36A3, 12N7-4A, LFX09A2, YTX14L-BS, LFX21L6, YTX20L-BS, YB16HLLFX24L3, FLH, solid, mount, engine, Softail, Softail, Dyna, FXE, FXR, FX, Kick, Start, XLH, XLCH, V-Rod, V-Rod, Kickstart, Volt, HONDA, xpress, Metropolitan, Ruckus, 50, Elite, Gyro, Aero, NS50F, NU50M, Urban, Express, Deluxe, NX50M, ExpressSR, C70, Passport, C70, Passport, C70M, CL70, Scambler, 80, Elite, Aero, C90M, CL90, C200, Touring, 90, S90, SL90, Motosport, CB100, CL100, SL100, 110, Elite, CL125A, Scrambler, CL125S, Scrambler, SS125A, Super, Sport, CB125, CBR125R, SL125, Motosport, XL125V, Varadero, PCX150, 150, Elite, SH150, CA175, Touring, CA175, Touring, CB160, CB175, SL175, Motosport, Reflex, Big, Ruckus, SM250, 250, Elite, Helix, CB200, CB200T, CL160, Scrambler, CL175, Scrambler, CL200, Scrambler, CM200T, Twinstar, XR230, Motard, CA72, Dream, 250cc, CB72, Hawk, 250cc, CL72, Scrambler, 250cc, CB250, Nighthawk, CBR250R, CM250C, Custom, CMX250C, Rebel, CMX250C, Rebel, VTR250, VTR250, Interceptor, VTR, CA77, Dream, 305cc, CB77, Super, Hawk, 305cc, CL77, Scrambler, 305cc, CB350, SuperSportFour, SL350, Motosport, CB360, G, T, CJ360T, CB400F, SuperSport, CB400F, CB-1, CM400, CM450, Hondamatic, cmx, cmx250, cmx300, cmx450, cmx450c, cmx500, Rebel, CB500, Twin, CX500, C, D, T, FT500, Ascot, GB500, GL500, Silver, Wing, VF500C, Magna, VF500F, Interceptor, VT500C, Shadow, VT500FT, Ascot, CB550, K, SS, Four, CB550SC, Nighthawk, FSC600, Silverwing, CB600F, CBF600, CBR600, CBR600RR, VT600C, Shadow, , VT600C, Shadow, , VT600VLX, CB650, (Custom), CB650SC, Nighthawk, CB650SC, Nighthawk, CX650C, Custom, CX650T, Turbo, FX650, Vigor, GL650I, Silver, Wing, NT650V, NT650, Hawk, GT, NX650, SLR650, DN-01, Crossrunner, CB700SC, Nighthawk, S, NC700X, NT700V, NT700V, Deauville, VF700C, Magna, VF700F, Interceptor, XL700V, VF750S, Sabre, VF700S, Sabre, VFR700, Interceptor, VT700C, Shadow, ACE, 750, Aero, 750, CB750, Nighthawk, CB750A, Hondamatic, CB750C, Custom, CB750SC, Nighthawk, CB750F, SuperSport, CB750K, Four, CB750K, Limited, RVF750R, (RC45), VF750, C2, D, VF750C, Magna, VF750C, Magna, VF750F, Interceptor, VFR750F, VFR750R, (RC30), VT750, Shadow, VT750, Shadow, VT750C, Shadow, PC800, Pacific, Coast, VFR800, VFR800FI, Interceptor, VT800C, Shadow, CB900C, F, CB900F, (919), CBR900R, RR, CBR929RE, CBR954RR, CB1000, CB1000R, CBF1000, CBR1000F, Hurricane, CBR1000RR, CBR1000RR, fireblade, CB1000C, Custom, CBX1000, SuperSport, GL1000, Gold, Wing, RVT1000R, (RC51), VF1000F, R, VTR1000F, CB1100, CB1100F, SuperSport, CBR1100XX, CBR1100XX, VT1100C, Shadow, ACE, 1100, ST1100, VT1100C, Spirit, VT1100C2, ShadowSabre, VF1100C, Magna, GL1100, Gold, Wing, VF1100S, Sabre, GL1200, Gold, Wing, VFR1200F, CB1300, ST1300, , , VT1300, VT1300, Fury, VTX1300, GL1500, Gold, Wing, GL1500, Valkyrie, GL1800, Gold, Wing, GL1800, Gold, Wing, NRX1800, Valkyrie, VTX1800, HUSABERG, Elec, Start, 250cc, Elec, Start, over, 250cc, HUSQVARNA, SMS, 4, 125, TXC, 250, 450, TE, 250, 450, TE, 310, TE, 410E, SM, 610, SMR, 449, , 511, TE, 449, 511, SM, 450R, SM, 510R, TE, 510, SM, 610, SMR, 630, TE, 630, TE, 610, HYOSUNG, 50cc, 100cc, NS3-250, GV250, GT250, R, GT650, R, S, GV650, SE, ST7, INDIAN, 1442, Scout, Spirit, 1638, Chief, 1638cc, KAWASAKI, MC1, Series, KE, KH, KM, KV100, G5, Series, G3SS, G3TR, G4TR, C2SS, C2TR, RoadRunner, F, Series, 125cc, KE125, KS125, Series, BN125, Eliminator, 125cc, F7, Series, 175cc, KZ200-A, A1, Series, 250cc, EL250, (D5), EX250, Ninja, , 250R, F4, Series, 250cc, KH250-A, KL250, (D, Sherpa), KZ250, CSR, LTD, S1, Series, 250cc, EX305-B, GP, A7, Series, 350cc, S2, Series, 350cc, S3, Series, 400cc, KH400-A, KLX400, R, SR, KZ400-aS, KZ400-C, KZ400, D, H, KZ400, Deluxe, Ninja, 400R, S3, Series, 400cc, KZ440, EN450-A, 454, LTD, EN500-A, Vulcan, EN500-C, Vulcan, LTD, EX500-A, EX500-D, Ninja, KH500-A, VN500, Vulcan, LTD, ZX500-R, Ninja, KZ550, (LTD), KZ550, GP, GPZ, KZ550-F, LTD, KZ550-F, Spectre, KZ550-H, GP, ZR550-B, Zephyr, ZX550-A, GPz, KL600-B, KLR, ZL600, E, F, ZX600-FA, ZX600, G, J, ZX600, K, M, N, ZX-6R, Ninja, ZX6RR, Ninja, ZX-6RR, Ninja, ZZR600, ZX636, Ninja, ER6n, er-6n, er-6f, 650, KL650-B, Tengai, KLE650, Versys, KLR650, KLX650, C, R, KZ650, KZ650-H, CSR, Ninja, 650R, ninja-650, W, Series, 650cc, W650, ZX650-R, KZ700-A, KZ700-A, VN700, 750, Vulcan, ZN700-A, LTD, ZR-7, ZX-7R700, GPZ750, KZ750, KZ750, E, H, L, KZ750-F, (LTD), KZ750, LTD, KZ750, LTD, KZ750-L, Ninja, KZ750-R, GP, KZ750, Spectre, Z750S, ZN750-A, LTD, ZR750, ZR750-C, Zephyr, ZX750-E, ZX750-F, Ninja, ZX750-H, ZX750-H, ZX750-J, ZX750-P, Ninja, ZX6R, ZX7R, ZX-7R, ZX9R, ZX-10R, ZX-12R, ZX750, RR, Z750(EU), Classic, 800cc, Classic, 800cc, Drifter, 800cc, Drifter, 800cc, GPZ900R, Ninja, KZ900, (LTD), VN900, Vulcan, Z900, (Z1, Series), Z1, Series, 900, ZL900-A, Eliminator, ZX900, Ninja, (all, A, models), ZX900-B, Ninja, ZX900-C, Ninja, ZX900, Ninja, E, F, ZX-9R, zx9r, GPZ1000RX, KZ1000-C, Police, KZ1000-C, Police, KZ1000-E, ST, KZ1000-G, Classic, KZ1000, (LTD), KZ1000, LTD, CSR, KZ1000-R, Replica, KZ1000-P, Police, KZ1000, Shaft, Z1000, Z1-R, 1000, ZG1000A, Concours, ZL1000-A, ZX1000, Ninja, ZX1000, Ninja, A, B, ZX1000-R, ZX10R, ZX-10R, GPz1100, ABS, KZ1100-A, (LTD), KZ1100-B, GP, ZN1100-B, LTD, ?ZR1100, ZRX1100, ZX-11, ZX1100-A, GPz, ZX1100-C, Ninja, ZX1100-C, Ninja, ZX1100-D, Ninja, ZX1100-E, ABS, ZG1200, Voyager, XII, ZRX1200, DAEG, ZRX1200R, ZX12R, ZZR1200, KZ1300, Touring, 1400, GTR, ZG1400, Concours, ZX14, Ninja, VN1500-C, Vulcan, L, VN1500, Drifter, VN1500-D, VN1500-E, VN1500-N, VN1500, Nomad, VN1500-P, Mean, Streak, VN1500, Vulcan, 88, SE, Drifter, 1600cc, Nomad, 1600, VN1600-B, Mean, Streak, VN1700, , , VN2000, KTM, 125, Duke, 400, E, XC, W, 450, E, XC, W, 520, E, XC, M, XC, 525, E, XC, M, XC, 530, E, XC, W, 620, Adventure, 620, LC4, 625, SMC, SXC, 640, LC4-SM, 640, RXC, 640, Adventure, 640, Duke, II, 640, LC4, 690, 620, Duke, 950, 990, RC8, , KYMCO, Agility, 50, Like, 50, People, 50, People, S, 50, Sento, 50, Sting, 50, Super, 8, 50cc, Super, 9, 50cc, Vitality, 50, People, S, 125, Agility, 125, Bet, &, Win, 150, People, 150, Super, 8, 150cc, Quannon, 150, Downtown, 200i, Like, 200i, People, S, 200, People, GT200i, Yager, GT, 200i, Venox250, Xciting, 250, People, 250, People, S, 250, Grandvista, 250, Downtown, 300i, People, GT, 300i, , Xciting, 500, MOTO, GUZZI, motoguzzi, Falcone, 500, Falcone, u.t., 500, V50, NTX, 650, 750, V65, Florida, 650cc, V65, 650, Breva, 740, Breva, 750, 850, Nevada, 750, Strada, 750, Nevada, 750, V7, 750, V7, Classic, 750, V75, 750, Le, Man, 850, T3, T4, T5, Bellagio, 936, 1000NT, California, EV, California, III, 1000, Convert, 1000, Daytona, 1000, 1000NT, Le, Mans, Mille, Quata, , Stone, Breva, 1100, California, 1100, Griso, V11, Bassa, 1100, V11, EV, 1100, 1200, Ntx, ABS, 1200, Sport, Breva, 1200, Norge, 1200, Stervio, 1200, MV, AGUSTA, F3, 675, F4, 750, Brutale, 910, 920, F4, 1000, 750, Brutale, NORTON, Navigator, Ranger, 750, Avio, Corsaro, Granpasso, 1200, Scrambler, 1200, Sport, 1200, Veloce, 1200, PIAGGIO, Typhoon, Fly, 50, 150, BV250, X9, BV500, MP3, 250, 400, 400, SUZUKI, F50, F50R, FS50, FZ50, Sport, 50, AC50, AS50, TS50, Model, 31, TS75, Colt, Sport, Trail, 80, Model, K10, TC90, Scrambler, AC100, Sport, AS100, TC100, Blazer, TS100, Honcho, B100P, A100, Go-fer, B105P, B120P, GN125, GZ125, Marauder, RV125, Tracker, SP125, TS185, Sierra, GT185, Adventurer, Model, T20, DR250S, DRZ250, GN250, GS250T, GT250, Hustler, GZ250, Marauder, T250, and, 250-II, T250J, T250R, TC250, Scrambler, TU250, TU250X, GS300L, T305, Scrambler, DR350SE, T350, Series, SP370, GT380, Sebring, AN400, Burgman, GS400, DRZ400, E, S, GS400X, GSF400, Bandit, GSR400, GSX400, Impulse, GS425, GS450, GS450, C50, Boulevard, GS500, GT500, Titan, M50, Boulevard, T500, Titan, GS550, ES, L, GS550, M, TX, GT550, Indy, GSF600S, Bandit, GSR600, GSX600F, Katana, GSX600F, Katana, GSX-R600, GSXR600, GSXR600W, GSX-R600W, AN650, Burgman, DL650, V-Strom, DR650S, DR650S, DR650SE, GR650, Tempter, GS650, (All, except, E), GS650E, GSF650, Bandit, GSX650F, LS650, Savage, S40, Boulevard, S40, Savage, SFV650, Gladius, SV650, XN85, Turbo, 650cc, GS700, E, ES, GV700, GL, Madura, VS700GL, Intruder, GS750, GSX750F, Katana, GSX750F, Katana, GSXR750, GSX-R750, GT750, LeMans, VS750GLP, Intruder, C800, Intruder, S50, Boulevard, M800, Intruder, VL800, VS800, GL, VS800GLS, VX800, VZ800, Marauder, GS850G, C90T, Boulevard, DL1000, V-Strom, vstrom, GSX-R1000, GSXR1000, SV1000, TL1000R, TL1000S, GS1000, GS1100, E, S, ?GS1100, G, L, GS1100, Katana, GSX1100F, Katana, GSX1100G, GSX1100S, Katana, GSX-R1100, GSX-R1100, W, GS1150, E, ES, GSF1200, Bandit, GV1200GL, Madura, GSF1250, Bandit, GSX1250FA, GSX1300BK, B-King, GSX1300R, Hayabusa, GSX1300R, Hayabusa, GV1400, VS1400GL, Intruder, VS1400GLP, ?VL1500, S83, Boulevard, M90, Boulevard, M95, Boulevard, GZ1600, Marauder, C109RT, Boulevard, M109R, Boulevard, M1800R, Intruder, VLR1800, (C109R), VZR1800, (M109R), SYM, JetEuro, 50, Mio, 50, Fiddlell, 50, RS, 50, SYMply, 50, Symba, 100, Fiddle, ll, 125, HD125, Symwolf, Classic, 150, HD200, RV250, TRIUMPH, KickStart, 12V, Tiger, Tigress, 350, 3TA, 5TA, TR5A, 6T, T20B, 600, Daytona, 600, Daytona, 600, 650, Speed, Four, 600, Speed, Four, 600, TT600, 650, Daytona, 675, Daytona, 675, StreetTriple, 750, All, Other, 800, Bonneville, 800, Tiger, , , 865, America, 865, Bonneville, 865, Scrambler, 865, SpeedMaster, ?900, Scrambler, 900, Scrambler, 900, Thruxton, 900, Thunderbird, 900, Tiger, 900, All, Other, T90, 955, All, Other, 955, Sprint, RS, 955, Sprint, ST, 955, Tiger, 1000, Daytona, 1050, SpeedTriple, triple, Sprint, ST, 050, SpeedTriple, 1050, GT, 1050, Tiger, 1200, Trophy, 1200, All, Other, 1600, Thunderbird, 2300, Rocket3, iii, VESPA, LX50, LX150, LX150, 4T, GTV, GTS250, GTV, GTS300, VICTORY, YAMAHA, P50, Little, Honda, YSR50, RX50, Special, QT50, Yamahahopper, MJ50, Towny, LB50P, Chappy, LC50, Champ, 50cc, Riva, Zuma, 50cc, Vino, Zuma, DT50X, RD60, YG1, CV80, Riva, LB80, Chappy, Zuma, 125, Vino, 125, Riva, 125, YBR125, Riva, 180, SR185, Exciter, Riva, 200, RD200, TW200, Maxam, 250, Morphous, 250, DS250, DragStar, 250, Serow, 250, SR250, Exciter, SRX250, Tricker, 250, YBR250, V, Star, 250, X-Max, 250, XV250, Route, 66, XV250, Virago, RZ350, XS360, XS360-2, Majesty, 400, FZR400, XS400, XP500, T-Max, SR500, TX500, XV500, Virago, XS500, XV535, Virago, XJ550, Maxim, XJ550R, Seca, XZ550R, Vision, Tmax, FJ600, FZ600, FZ6, 600, SRX600, YZF-R6, YZF-R6, YZF-R6, (not, R6S), YZF-R6S, YZFR6S, XJ6, FZR600, R, XJ600S, Seca, II, YX600, Radian, YZF600R, XT600E, TX650, TX650, XJ650, XS650, XS2, 650, V, Star, 650, MT-03, FZ700, Fazer, FZ700, Fazer, XJ700, Maxim, XJ700X, XV700, Virago, FZ750, TX750, YZF750R, YZF-R1M, YZFR1M, YZF-R7, YZFR7, 750cc, XJ750, Maxim, XJ750M, Midnight, Maxim, XJ750R, Seca, XS750, XV750, Virago, TDM850, TRX850, XS850, TDM900, XJ900R, Seca, XV920, Virago, XV920M, Midnight, Virago, XV920R, Virago, V, Star, 950, XVS95CT, XVS95CTY, GTS1000, FZ1, 1000, FZR1000, FZR1000, FZS1000, Fazer, FZS1000, Faser, mt07, mt-07, mt09, mt-09, YZF1000R, YZF-R1, YZFR1, XV1000, Virago, DS11, DragStar, 1100, FJ1100, V, Star, 1100, XJ1100, Maxim, XS1100, XV1100, Virago, FJ1200, FJ1200, V-Max, 1200, FJR1300, Stryker, 1300, XJR1300, Royal, Star, V, Star, 1300, XVZ13, Royal, Star, 1300cc, XVZ13, Venture, 1300cc, XVZ12, Venture, Royale, XVZ13, Venture, Royale, XV1600, Road, Star, MT-01, Road, Star, Silverado, V-Max, 1700, XV17AT, Road, Star, XV17AT, Silverado, XV1700A, Road, Star, XV1700A, Silverado, XV17P, Warrior, XV1700P, Warrior, Raider, Roadliner, Stratoliner, r nineT, 899, panigale, r1200rs, msx125, grom, tracer, tiger, 1200, explorer, st1100, pan, european, pan-european, st1300x, stx1300, super, duke 1290, rsv4rr, rsv4-rr, rsv4 rr, rsv4rf, rsv4-rf, rsv4 rf, yzfr3, yzf-r3, 1955, 1956, 1957, 1958, 1959, 1960, 1961, 1962, 1963, 1964, 1965, 1966, 1967, 1968, 1969,1970, 1971, 1972, 1973, 1974, 1975, 1976, 1977, 1978, 1979, 1980, 1981, 1982, 1983, 1984, 1985, 1986, 1987, 1988, 1989, 1990, 1991, 1992, 1993, 1994, 1995, 1996, 1997, 1998, 1999, 2000, 2001, 2002, 2003, 2004, 2005, 2006, 2007, 2008, 2009, 2010, 2011, 2012, 2013, 2014, 2015, 2016, 2017, 2018, 2019, 2020, 07, 08, 09, 10, 11, 12, 13, 14, 15, 16, 17, 18, 19, 20! While many standard lead-acid chargers (apart from those with an automatic De-Sulphation Mode which can harm non-lead-acid batteries) can be used with Shorai LFX batteries when needed, the dedicated Shorai BMS01 charger is specifically designed to charge, store, maintain, balance, and diagnose your LFX battery via its direct interface which monitors your battery on a cell-by-cell basis.  CHARGE MODE - charges, balances, and performs cell diagnostics. 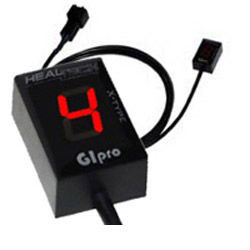  Clear LED indicators to show battery charging or storage status.  Convenient retractable hook to hang from grips, frame rails, seat straps, or workshop wall etc.  Operating Specifications: 100V~250V 50/60 Hz AC Input; 2A max charge rate. BMS01 spare 12V extension cable with waterproof cap - provides easy access for charging. Saves having to remove your seat each time you charge. !electronics, batteries, lead, SHO-BMSCBL12, BMS01!